I don't remember Camilla or Sophie being criticised for smiling at solemn events in the same way Kate has been. Both Camilla and Sophie have had their fierce criticisms written in vomit, vitriol and poison. Now both ladies have faded into the background and Miss Middleton, the newcomer, has taken the spotlights. Now she is the favorite target. The Daily Mail has the best pictures but is also the worst tabloid of all. It is especially worse because when you buy The Sun or The Mirror, you know you are reading an absolute rag. The Daily Mail however presents itself as a serious newspaper and does not have the same "trash" feel as The Sun or The Mirror. That is the danger of the Daily Mail, it gives some credibility to the most insane stories. I don't understand the protocol for the seating arrangements or the speeches myself. William was outranked by every other Royal in attendance. The Duke of Cambridge represented the United Kingdom, together with France and Germany THE most important West-European countries battling in Flanders and Northern France. This is shown by the prominent seatings of Mr Hollande, Mr Gauck and the Duke. Of course there were also Austria-Hungary, Russia, the Ottoman Empire, etc. in Central- and East Europe. kate looked spotless as usual. however, i was surprised by the protocol: why did william get to pronounce a speech, together with king Philippe of the begians and not felipe, who outranks him? shame guillaume didn't bring his belgian-born wife, it would have been very fitting for her to attend the commemoration in her country. Luxembourg of course was also invaded and occupied by the Germans even before they rolled into Belgium, so, in a way, the ceremony was remembering that too and Guillaume's presence made sense. August 4th marks the day of the violation of Belgian neutrality when Britain declared war on Germany. I believe Germany had already previously declared war on France on August 3rd and the Germans invaded Belgium precisely to get into France and catch the French army off-guard. Prince William spoke representing the Queen, interestingly not only as the monarch of the United Kingdom, but actually as "Head of the Commonwealth" as he said in his speech. That means he was representing not only the UK, but Canada, Australia, New Zealand, South Africa, India and other territories of the British Empire which, in 1914, were not independent nations yet and, therefore, on August 4th, automatically entered into war with Germany together with the UK. President Gauck spoke representing Germany, while president Hollande represented France, the other major part to the war. And, of course, the Belgian prime minister and King Phillipe were there as representatives of the invaded nation. What I fail to see is what Felipe VI was doing in Belgium, considering that Spain was neutral in WWI ! It would have been nice, if King Felipe's and Hereditary Grand Duke Guillaume's spouses were in attendance too. What I fail to see is what Felipe VI was doing in Belgium, considering that Spain was neutral in WWI ! King Felipe attended because he was invited, like other heads of state and representatives of more than 80 countries. We can see from this photo that most of the invited guests attended without their spouses. 8:30pm William & Catherine and Harry will attend a Commemoration Event at Saint Symphorien Military Cemetery. We in Belgium are deeply impressed by the 2 Speeches of the President of Germany. He wanted personally to go to Leuven , our Unversity since 1425 where the Germans destroyed one of the world most important Library of the world. Lovely photos. Very moving indeed. As a Lutheran pastor and former civil rights campaigner in East Germany, Mr. Gauck must feel very strongly about unjustified aggression. I only heard his speech in Liège, where he was genuinely apologizing on behalf of Germany for the suffering his country caused to Belgium in the past. I wonder how Germans at home reacted to the speech though. Have they found it too apologetic ? The German Presidents speech impressed very many people here in Britain too. His acknowledgement of the utterly unjustified aggression against Belgium answers the question that many here [and elsewhere] have asked - why did we go to war in 1914 ? It was good, and fitting that he spoke in this way, on the centenary of perhaps THE most formative event in modern World History, and one that has shaped all our todays. The European attendance protocol is as odd as Europe. Hereditary Grand Duchess Stephanie could have attended. I highly doubt her agenda was very busy. The above link contains various photos from Commemoration of WWI in Belgium. King Felipe is such a charming gentleman. From what I heard on the news and on a discussion panel of phoenic (one of the high quality chanels focusing on documentaries and and serious reporting), the speech of President Gauck was very well received here in Germany. Commentators said the he found the right kind of words in his speech. Mr. Gauck is very well respected here, and I doubt that there will be criticism of his speech. Just watching the Presidents of Ireland and Germany with the King of the Belgians and Duke of Cambridge laying wreaths. A very touching ceremony indeed. Very proud of the royals too. They represented their countries beautifully. The Queen will attend a service of commemoration at Crathie Kirk, Ballater, Aberdeenshire to mark the start of the First World War. . The Belgian Royal House has posted the full text of King Philippe's speech today. I love seeing Catherine at these kind of events when other royals attend. That way she gets to now more of them and who knows maybe getting them on her circle of friends. 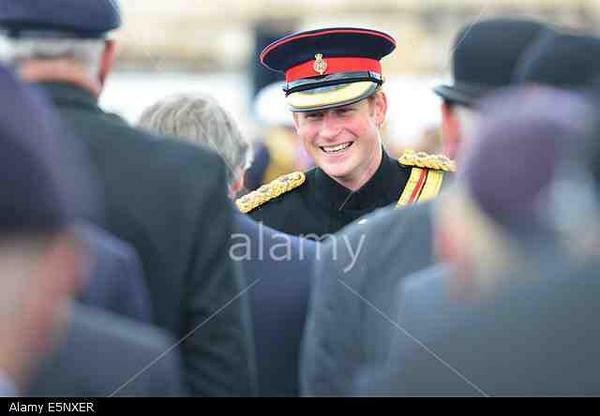 I would be very happy to see all day, events like this, Catherine and other royals, I absolutey love that!